NORTHBROOK, Ill., April 3, 2019 /PRNewswire/ -- Astellas is pleased to announce two recent senior-level promotions and one new hire within its Medical and Development (M&D) organization. Steven Benner, M.D., was promoted to president and Head of Development; Zhonghong Eric Guan, M.D., Ph.D., joined Astellas as the senior vice president and Head of Medical Affairs (MA), Americas; and Andrew Krivoshik, M.D., Ph.D., was promoted to senior vice president and Oncology Therapeutic Area Head. "I am thrilled that Steven, Eric and Andrew will be leading critical parts of our global organization," said Bernhardt G. Zeiher, M.D., chief medical officer (CMO), Astellas. "I have great confidence that each of these inspiring leaders will help us continue to realize our vision of turning innovative science into value for patients worldwide." In his new role as president and Head of Development, Benner will report directly to Zeiher, CMO. He will be responsible for leading the global Development organization, advancing and accelerating Astellas' evolving pipeline in partnership with Astellas teams across the globe to deliver value for patients. Prior to his recent promotion, Benner served as senior vice president and Oncology Therapeutic Area Head. He was responsible for providing global leadership for Astellas Oncology across numerous clinical programs in areas such as prostate cancer, acute myeloid leukemia, gastroesophageal cancer and bladder cancer, among others. 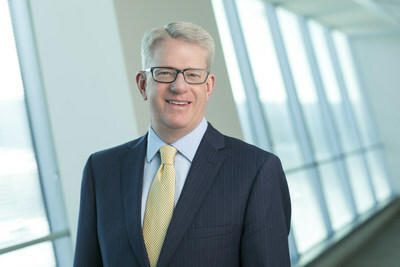 Prior to joining Astellas, Benner served in senior leadership positions in clinical development, compliance and licensing at Cell Therapeutics Inc., OncoMed Pharmaceuticals, PDL BioPharma and Bristol-Myers Squibb, as well as academic appointments at the University of North Carolina – Chapel Hill School of Medicine and the University of Texas MD Anderson Cancer Center. Benner earned his M.D. from the University of Missouri-Columbia School of Medicine, his Master of Health Sciences from the Johns Hopkins University School of Public Health and his Bachelor of Arts from the University of Chicago. In his new role as senior vice president and Head of MA, Americas, Guan will report directly to Charlotte Kremer, M.D., executive vice president and Head of MA. 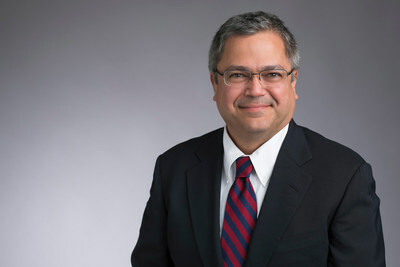 He will assume overall responsibility for the strategic direction of the MA Americas organization, including continued medical support of in-line products and late-stage development compounds, and translation of medical and patient insights into actionable strategies for Astellas' global medical teams. 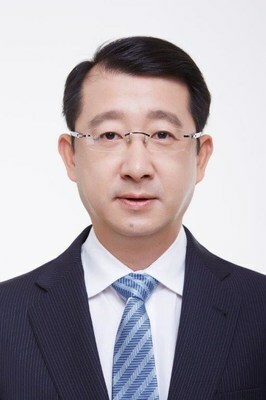 Guan is a senior business leader and physician scientist with 20 years of pharmaceutical experience. Guan has served in senior research, development, medical and commercial roles across multiple therapeutic areas at global, regional and country levels. He joins Astellas from Pfizer where he held senior roles for the North America region, Asia-Pacific region and emerging markets. Guan earned an M.D. and Ph.D. from Tongji Medical University in China. Guan completed his residency in surgery and urology at Union Hospital, Tongji Medical University and a postdoctoral fellowship in internal medicine (nephrology), pharmacology and molecular biology at Washington University School of Medicine in St. Louis, Missouri. In his new role as senior vice president and Oncology Therapeutic Area Head, Krivoshik will report directly to Benner, president and Head of Development. He will assume overall responsibility for the strategic direction of Astellas' Oncology Therapy Area and advancement and delivery of the oncology pipeline. Prior to his recent promotion, Krivoshik served as vice president of Medical Science, Oncology, where he was responsible for leading a group of medical oncology development physicians. Krivoshik holds an M.D. from the University of Illinois College of Medicine at Urbana-Champaign, a Ph.D. in biophysics and computational biology from the University of Illinois at Urbana-Champaign and a BSE in electrical engineering from Princeton University. He received his clinical internship and residency training in pediatric and adolescent medicine at Mayo Clinic, and clinical pediatric hematology and oncology fellowship training at Duke University. He is licensed in multiple jurisdictions as both a physician and professional engineer.